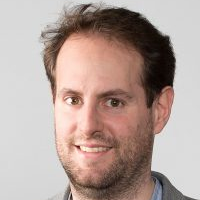 Juan Rojo is Assistant Professor at the Vrije Universiteit of Amsterdam and staff member at the Theory group of Nikhef. His research interests include perturbative Quantum Chromodynamics, LHC phenomenology, parton distributions functions, jet reconstruction and substructure, and machine learning tools. The physics program of NNPDF is also developed within the ERC PDF4BSM project.